In a previous post, you learned some tips on how you can encourage your child to bury their nose in books. However, if you require extra guidance to help your child become a bookworm, know that you can use the holiday season to your advantage. For a few tips on the matter, continue reading the post below. In the post mentioned above, you read about the importance of allowing your child to choose their own reading material. However, since the holiday season is upon us, you can provide reading options that relate to it. For example, your child could get more excited to read if they have a story about Rudolph, the red-nosed reindeer. Where you read can have a big impact on your focus levels and your enjoyment of the reading material. 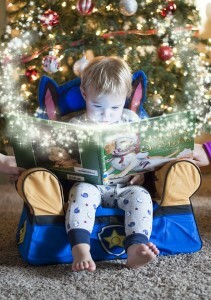 Luckily, this season provides the perfect excuse to create a cozy, warm environment where your child may want to read. For example, you can turn on the fireplace, place fluffy throws on the couch, and make hot cups of cocoa for reading time. Last but not least, you can get your child to be eager to read if you give books as gifts. For example, if your child thinks Santa brought them a book, they may feel more enthusiastic about reading, since the material is now special to them. Plus, it's likely your child will want to make the most out of the presents they received. The Tutoring Center, The Woodlands TX can assist your child with their reading comprehension efforts. Call (281) 602-3839 to enroll them in tutoring in The Woodlands TX, or to schedule a free consultation.